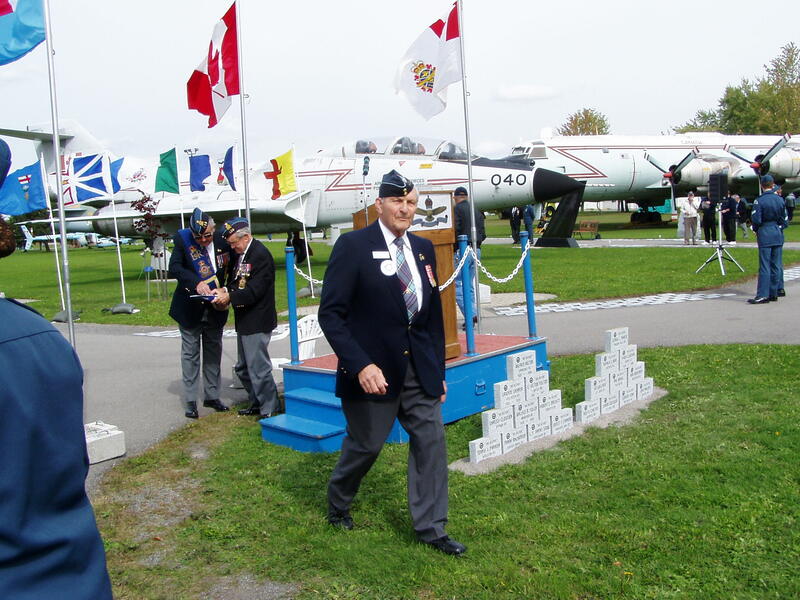 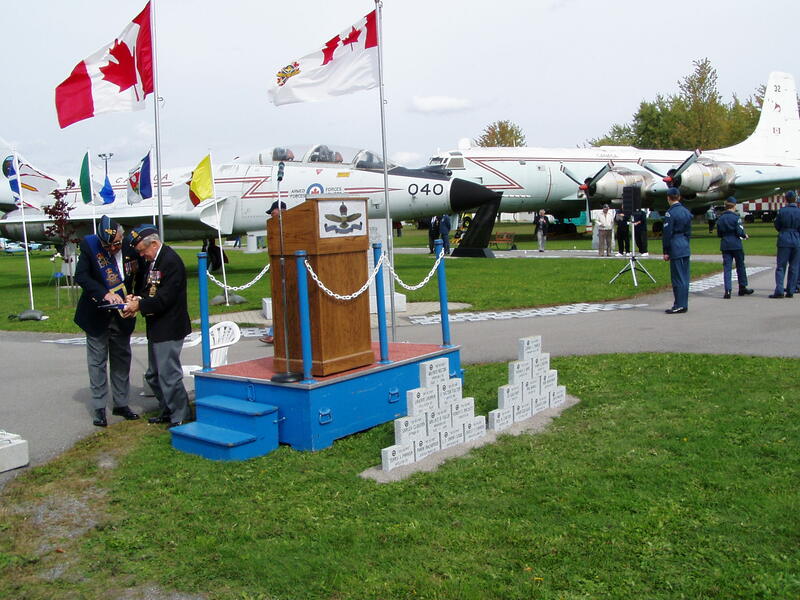 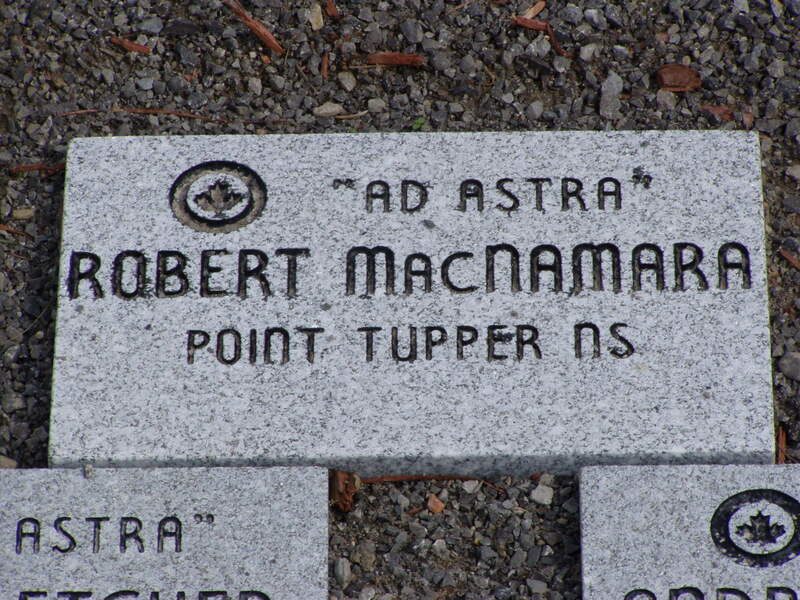 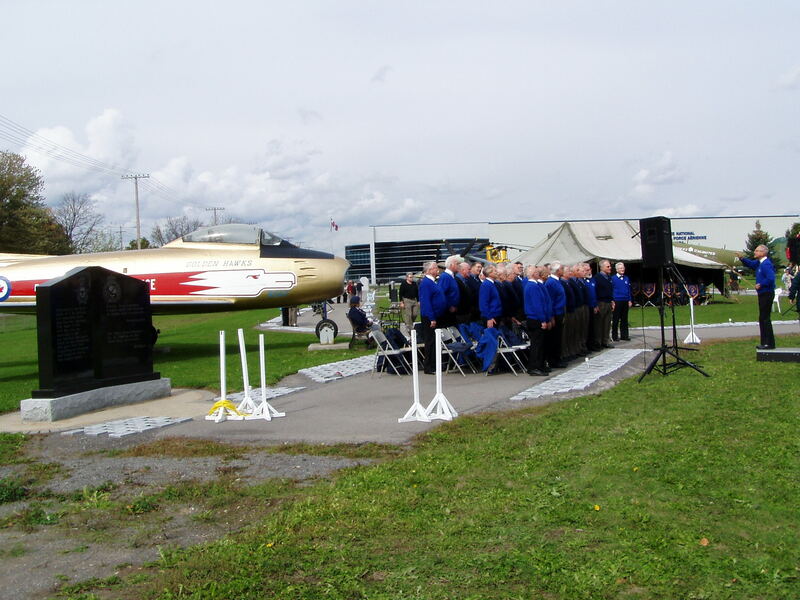 For a 55th Wedding Anniversary gift, my wife, Shirley, son Brian and his wife Betty arranged for an "Ad Astra" stone in my name at the RCAF Museum. 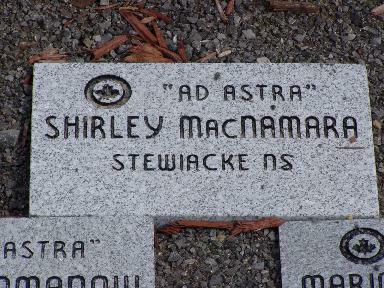 Also to Shirley's surprise, Betty & Brian arranged for one in her name, so they could be placed together. 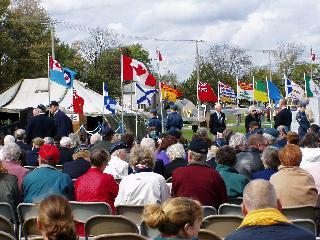 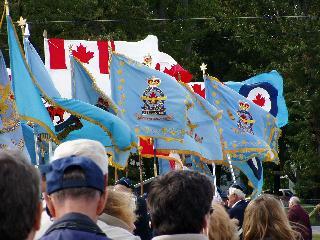 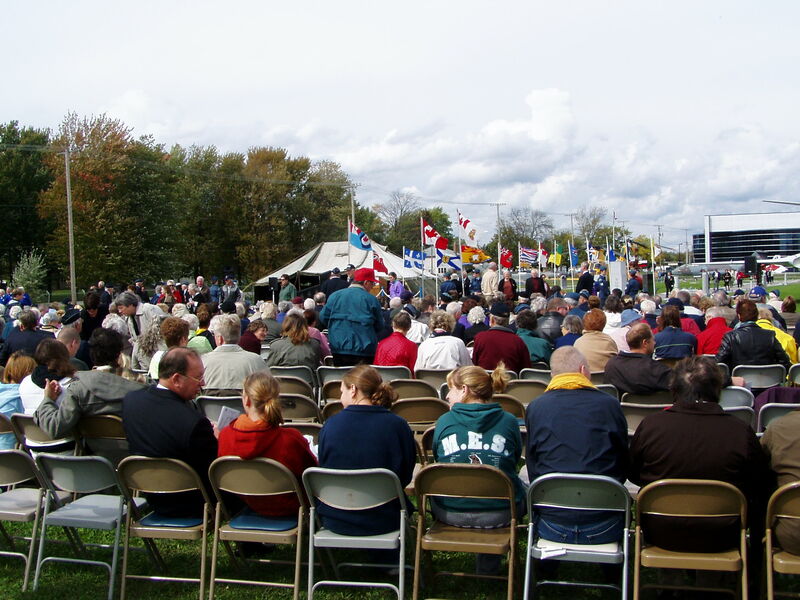 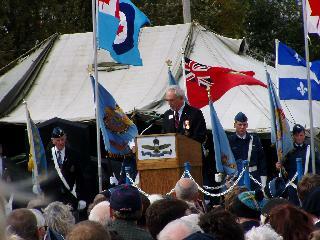 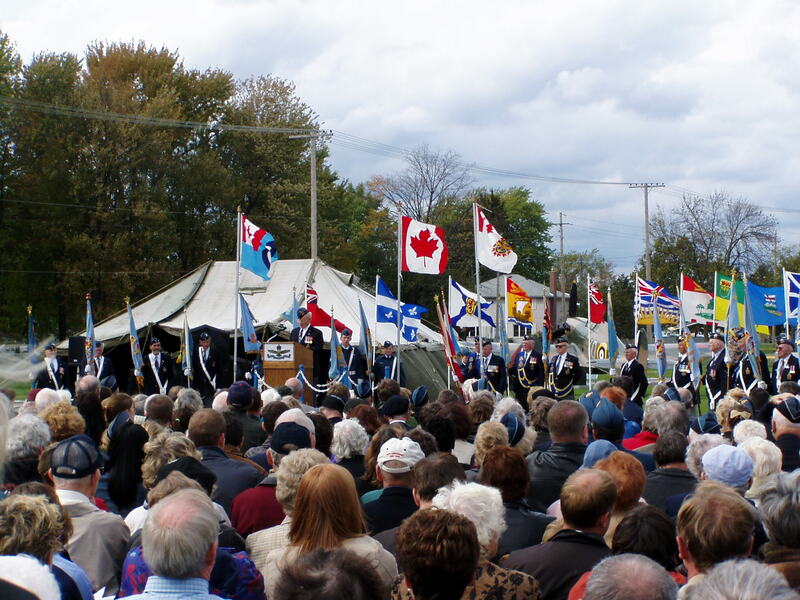 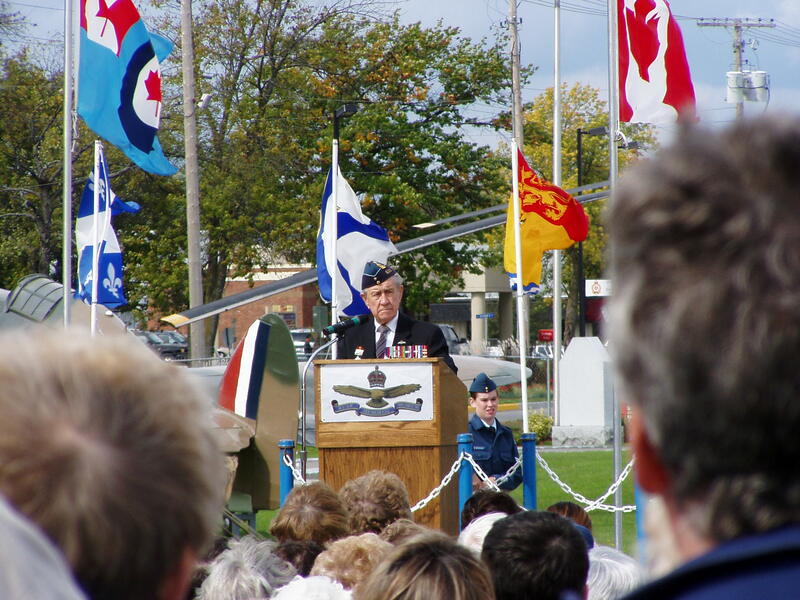 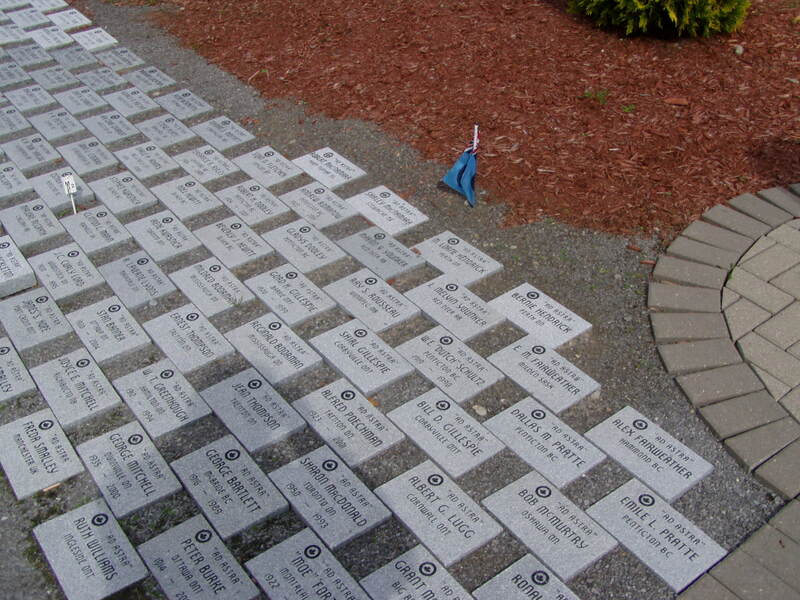 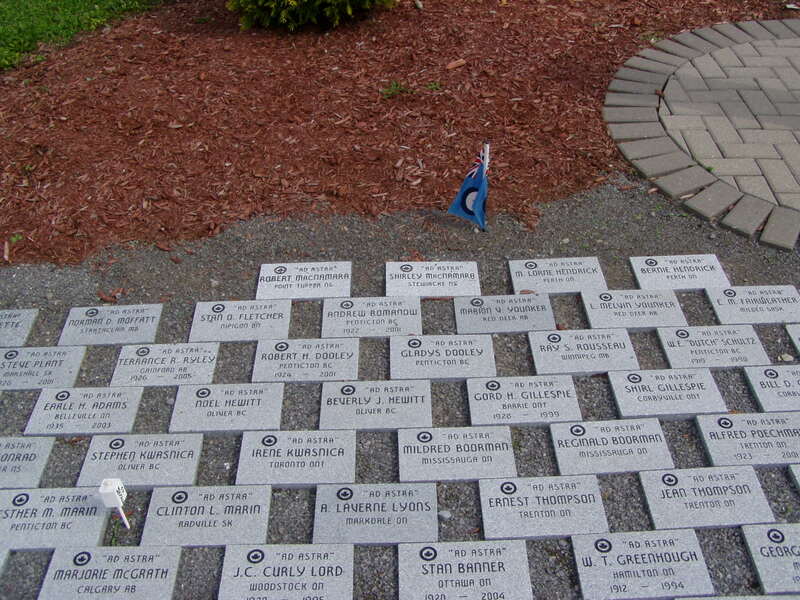 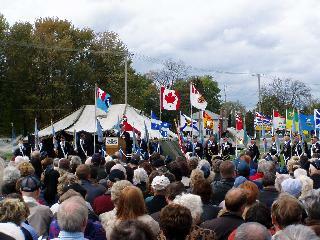 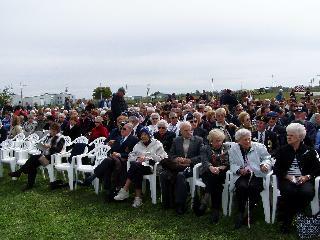 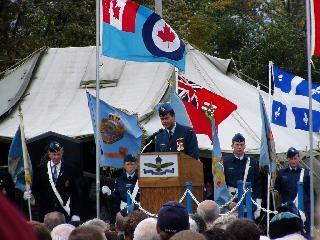 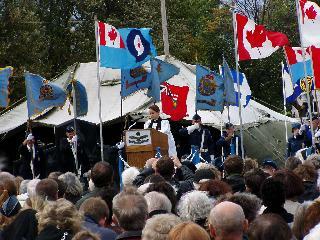 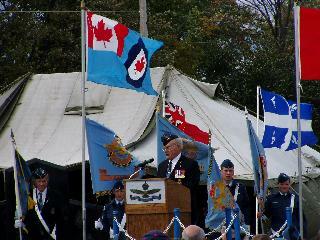 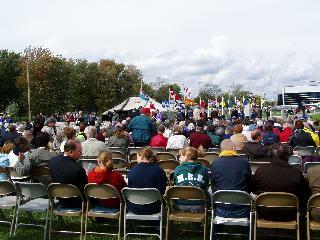 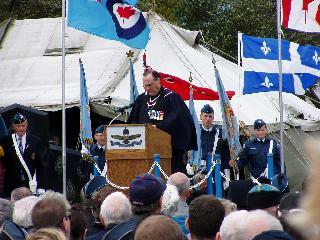 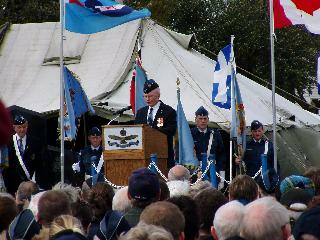 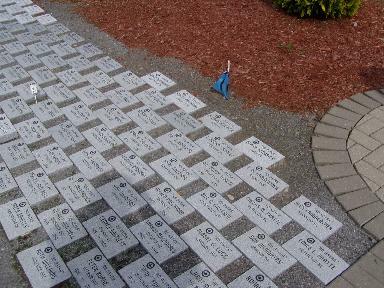 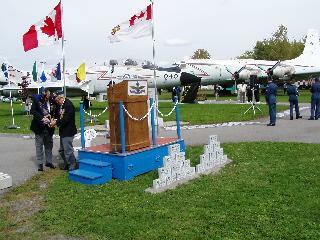 Here are some of pictures of the stones, and the ceremony, held to dedicate them on September 30th, 2006. 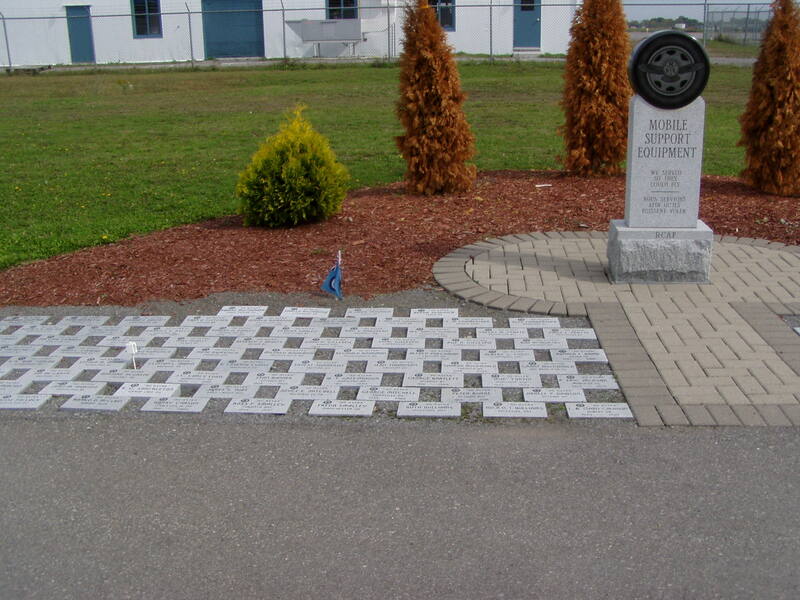 Our stones can be found at the MSE Cairn (see the picture above), on the left side, several rows back, but only #3 and #4 from the Cairn. 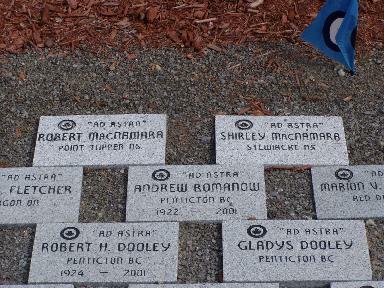 In the pictures below, they are in the top row. 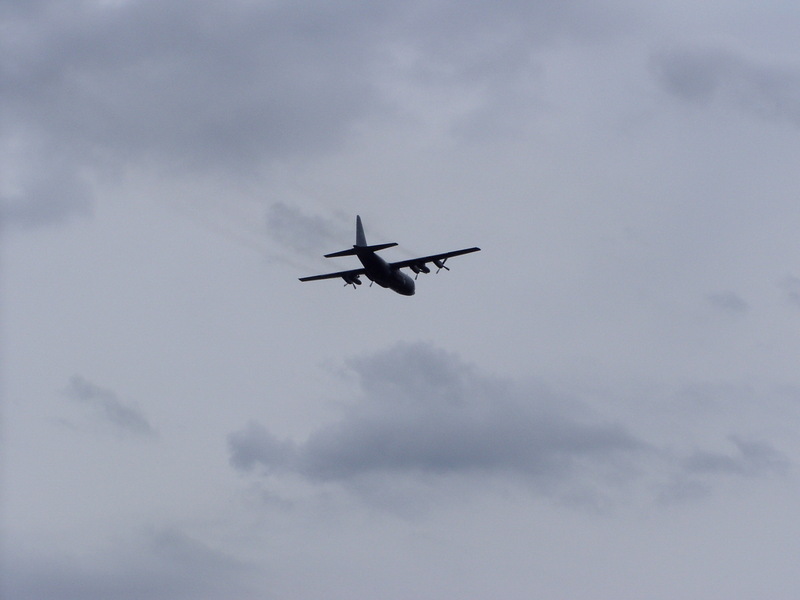 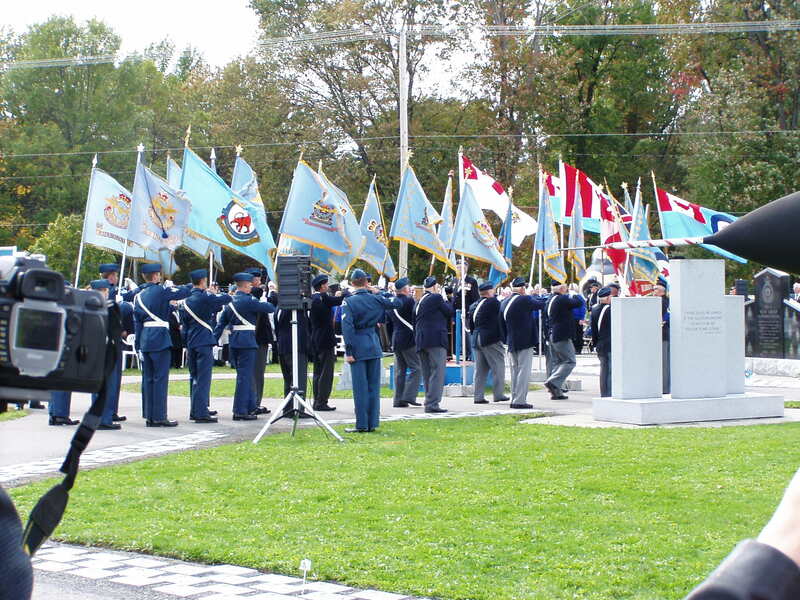 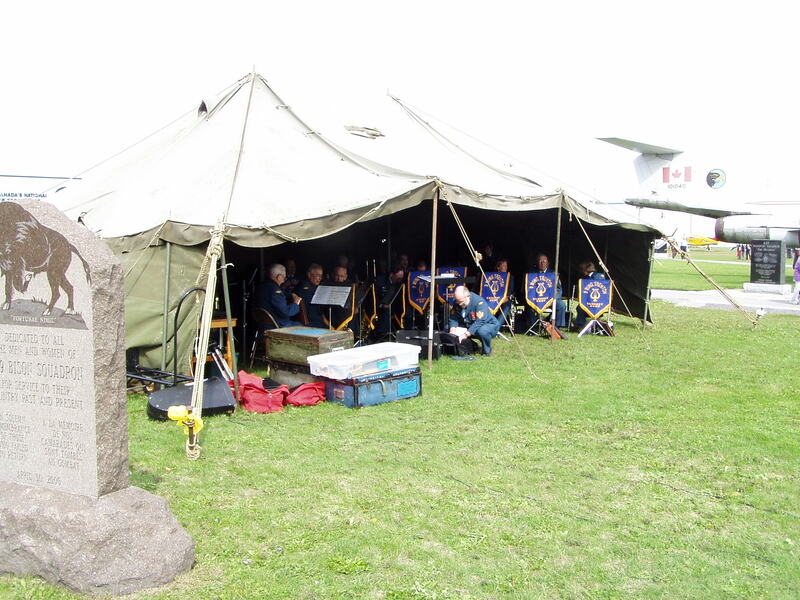 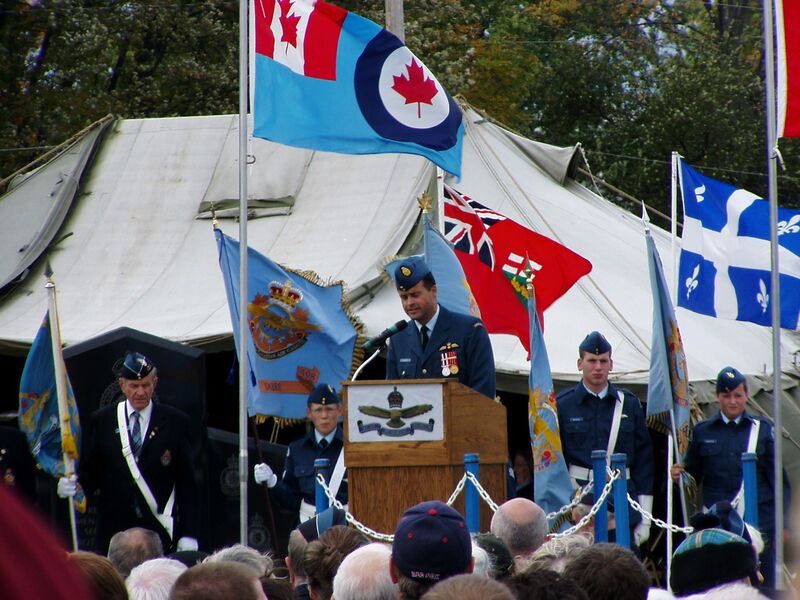 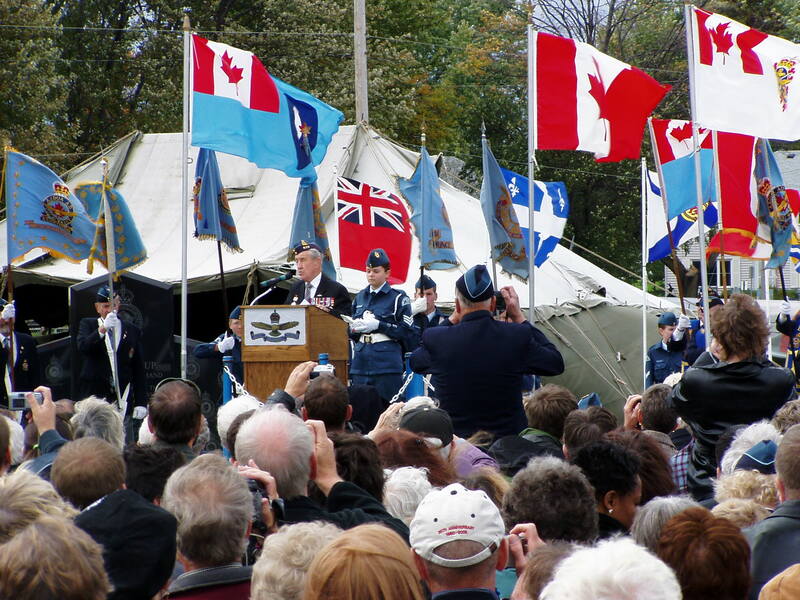 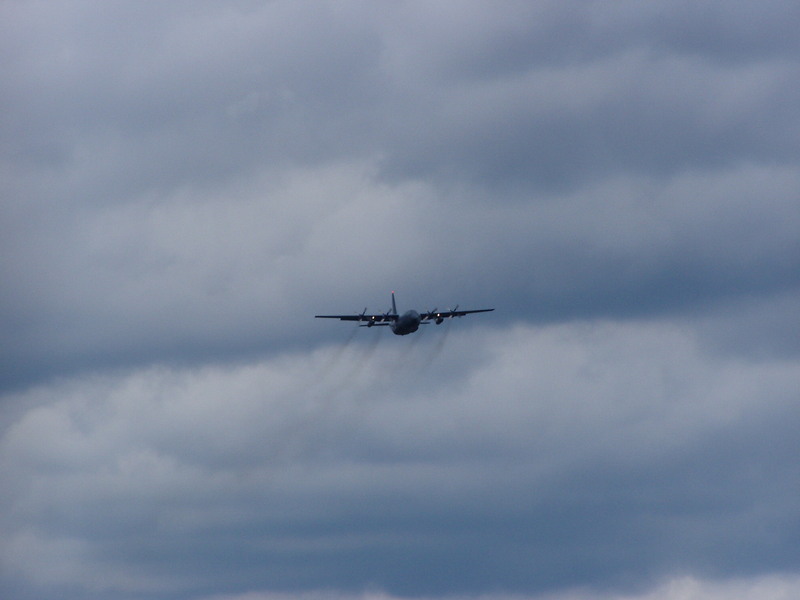 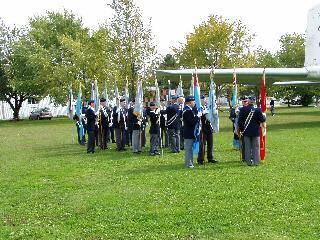 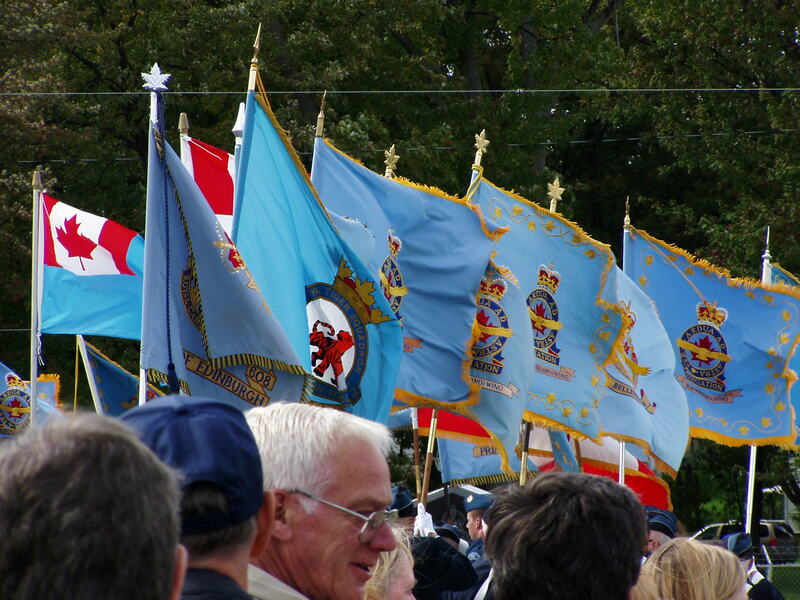 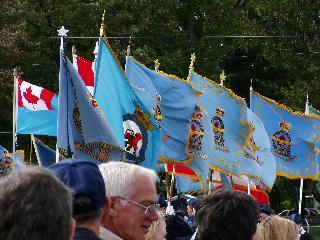 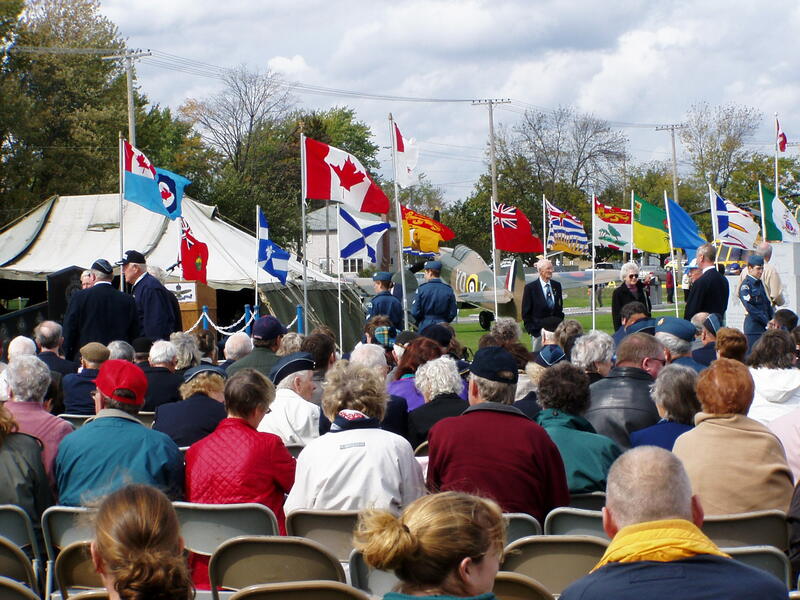 Below are some of the views of the "Ad Astra" Dedication Ceremony, including the colour guard, the musical accompaniment, and the flypast. 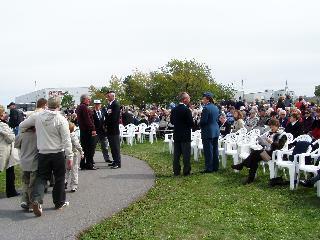 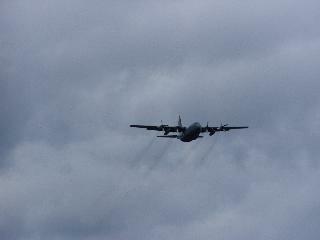 The turnout of visitors was very good and appeared to be beyond even the numbers that the staff were expecting. 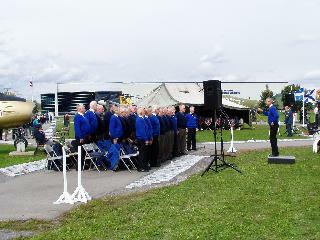 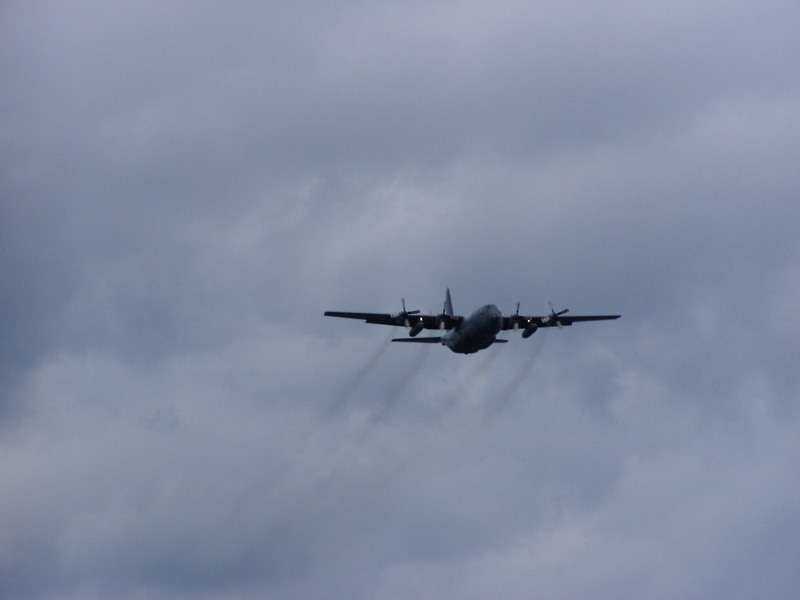 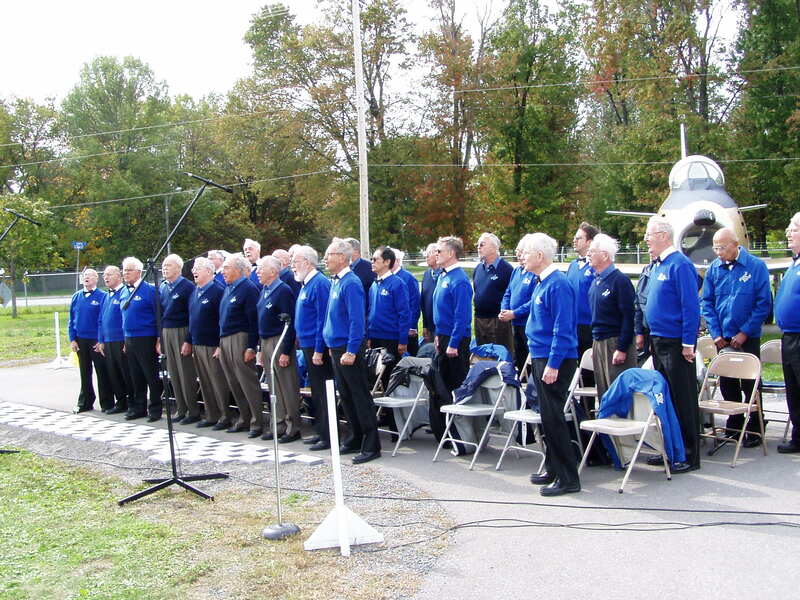 11th Annual "Ad Astra" Stone Dedication Ceremony. 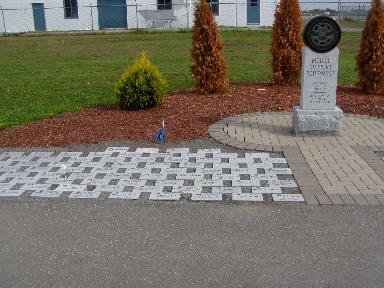 Stones at the MSE Cairn. 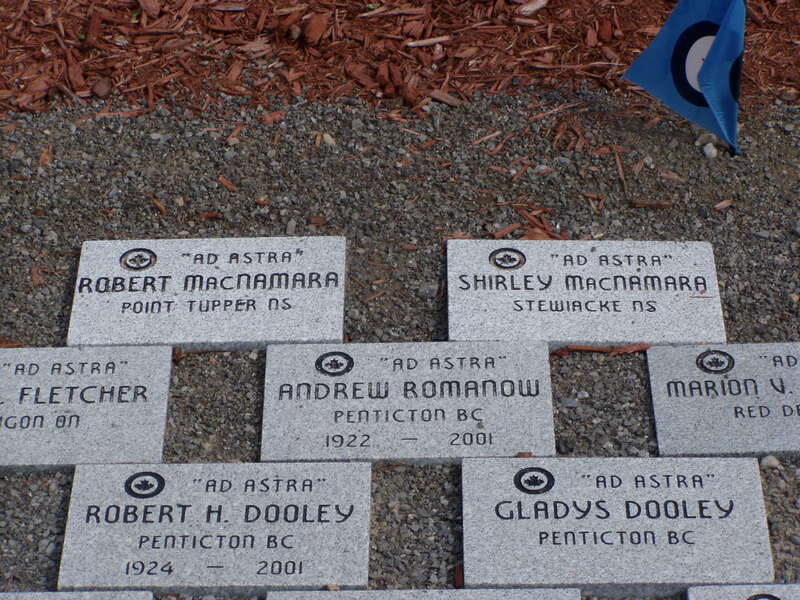 As a final note, Brian would like to extend his thanks to all the people who are involved in the Ad Astra Stones program for the assistance, and to all who took part in the ceremony, both as visitors and as participants. 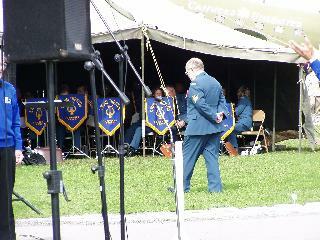 Also, special thanks to his wife Betty for helping get all the arrangements made. 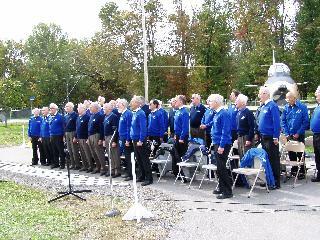 Thanks for making things very special. -- Brian.